The Sears Crescent is the number one Sears house in Illinois by far. You can find one or more of these homes in almost every community. A Colonial Bungalow with a formal, double-columned front porch, the Crescent still appeals to today's buyers. Today we feature a Sears Crescent in Lake Forest. It's concealed by trees on the outside, but is sunny and bright on the inside. 122 Wildwood Rd., Lake Forest. This Crescent had a gambrel roof added in 2000 when the upstairs was expanded. This is an authenticated Sears Crescent. The first owners, Alexander and Dolma Glover, took out a mortgage from Sears in 1930 for $6,500. Alexander was an Irish immigrant, and Dolma was born in America to Norwegian immigrants. He worked for the Lake Forest Park District. Today, a trend in home design is clean, light interiors. With old houses, that means replacing historic millwork or painting it white. 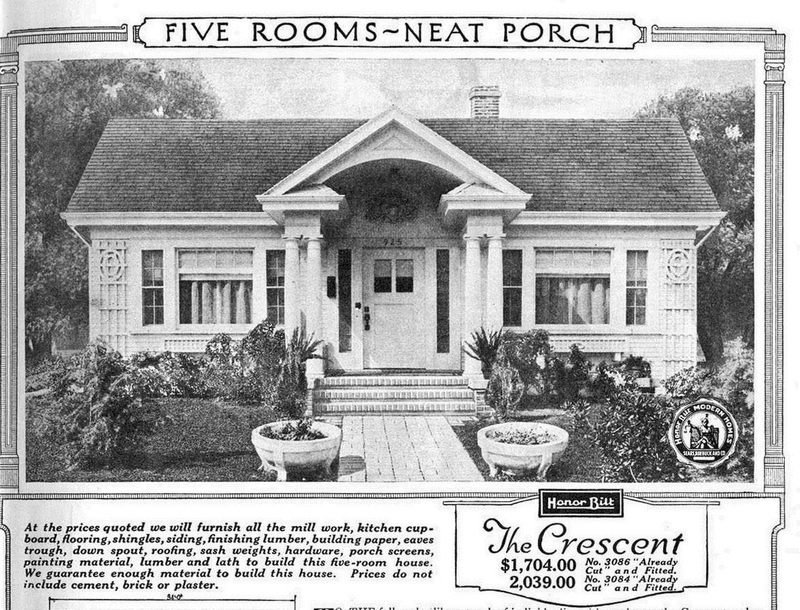 Click here to see a Crescent with its millwork in its original state. Photo from Realtor site. The Crescent came in two floor plans, and this house in Lake Forest is the larger one. Photo from Realtor site. This is technically the dining room. Photo from Realtor site. This was originally the front bedroom, now classified as a family room. Photo from Realtor site. This Crescent now has a European-style country kitchen. Photo from Realtor site. That's an original Sears door with its original Sears door hardware. Photo from Realtor site. This dine-in area off the kitchen was once the back bedroom. Photo from Realtor site. There were three rooms upstairs originally. In the 1950's, the attic rooms were used as a separate rental. The Glovers and the renters shared the same first-floor bathroom.The upstairs you see here was a total rehab in 2000, and the second story now contains three bedrooms and a master suite. Photo from Realtor site. 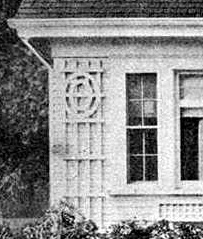 The Glover family owned the house until 1993. I wonder what they would think of their house today.